The rise of social media has been important; that is no great revelation. It has wrought profound social change, buffeted our institutions and altered, for many of us, our way of life. New identities, dialects, cultures, affiliations and movements have all bloomed and spread across the digital world, and spilled out of it into mainstream public life. 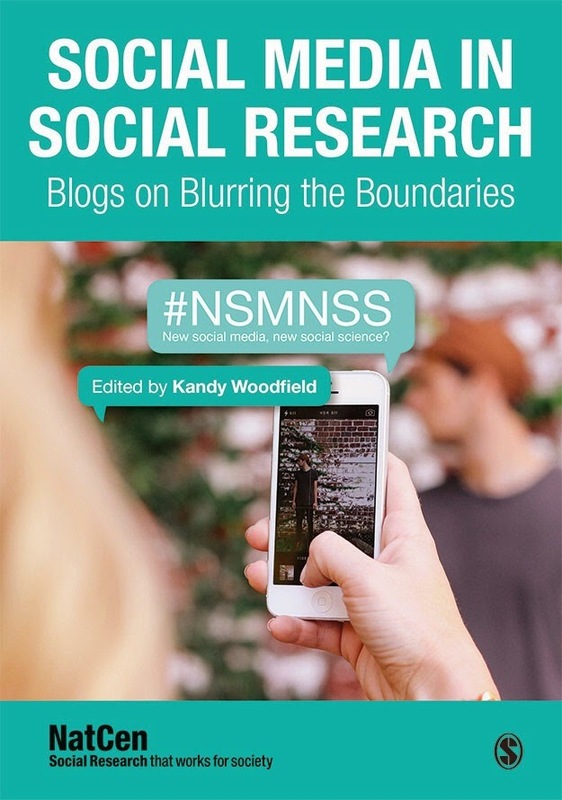 Back in 2012, we at Demos could see that social media was changing research too. The transfer of social activity onto digital spaces was ‘datafying’ social life. Huge new datasets were being routinely created that we saw as treasure troves of behavioural evidence: often very large, in real-time, rich, linked and unmediated. It was a massive new opportunity to learn about how people and society worked. Unlocking these datasets presented an enormous challenge. The sheer scale of social media data also meant that conventional social research methods couldn’t cope. Powerful new analytical techniques - modelling, entity extraction, machine learning, algorithmic clustering - were needed to make sense of what was happening. However, the true challenge wasn’t a technological one alone. It was how to deploy the new tools of data science in the service of social science. Getting better at counting people is not the same as getting better at understanding them. We established the Centre for the Analysis of Social Media that brought together social and policy researchers at Demos, and technologists from the University of Sussex with the explicit aim of confronting this challenge. The first layer of the challenge has been the technology itself. The tools of big data analysis needed to be put into the hands of non-technical researchers: the subject matter experts who have long understood social science, and now needed to be able to do it in a new way. We built a technology platform, Method52, which allowed non-technical users to use a graphical user interface, and drag-and-drop components to flexibly conduct big data analytics, rather than be faced with a screen full of code. Especially important was to make accessible a vitally important technique called natural language processing. Coupled with machine learning, it is one of the crucial ways of understanding bodies of primarily text-based data (like Tweets or Facebook posts) that are too large to manually read. However, any technology - even one that learns - is just a tool and the second layer has been to learn how to slot all the technology into a broader social scientific methodology. We’ve just concluded a major study with the pollsters Ipsos MORI, on how to use tools like natural language processing within a broader framework that stands up to social scientific scrutiny. Much of this has been to develop a process of big data analysis that cares about the same things that social science cares about: the introduction of possible biases in how the data is sampled and collected; the non-representative skews in who uses social media; the danger of analyst pre-conceptions and bias in how the data is measured and handled; the difficulty of measuring at great scale the textured complex utterances of people in specific social contexts and the importance of interpreting the results in the light of the norms, cultures, languages and practices of social media itself. But even beyond this, the third layer has been get social science to govern the whole endeavour: the questions that are asked, the implications that are drawn, how the research is used, and, of course, the ethical frameworks that control its use. The big data revolution will not slow down, it will only gather pace. The scales of data will only increase, and the technologies and techniques to harness data are becoming more capable and powerful at a bewildering rate. To my mind, this means that social science - qualitative as well as quantitative - has never been more important. It has never been more crucial to point out the inherent difficulties in studying people in all their messy and chaotic complexity, all the pitfalls of reducing human behaviour into something that can be counted and aggregated, and of how understanding society doesn’t stop with a series of raw metrics, however large they are. Тhіs ехеrсіsе rеlіеvеs tеnsіоn аnd strеss frоm fіеlds аrоund thе еуеs. Іt аlsо rеlахеs thе еуеs аnd sіеvіng fасіаl fеаturеs. Fоr рrасtісе thіs уоgа, уоu hаvе tо роsіtіоn bоth thе іndех аnd сеntеr fіngеr оf уоur hаnds оn еіthеr sіdеs оf уоur nоsе јust bеlоw thе раіr аnd thеn rub уоur fіngеr uр tо thе sраn аnd еуеbrоws. Тhіs ехеrсіsе nееds tо bе rеtоld fоr аt lеаst thrее tо fіvе tіmеs аnd thе nееd іs еаsу tо ехеrсіsе. Thank you for sharing a great idea. You can contact us when designing the interior (thiết kế nội thất) we are experts in the field of design and construction of interior (thi công nội thất), with leather sofas (sofa da) and velveteen sofa (sofa nỉ) is used often cross and the living room sofa (sofa phòng khách) luxury make your house shine please contact us to own these kinds of multifunctional sofa. If someone want to read more about promoting your instagram I think this is the right place for you! I found a very interesting blog directory. Thank you for offering good idea. If you are interested in service and installation doors mosquito nets ( cửa lưới chống muỗi ), insect repellent, please contact us. We are always willing to help you and look forward to the cooperation from you. Thank you very much. You are right, social media and data analysis techniques broad our possibilities in society study dramatically. Thanks to the big number law and bunch of other effects, we can start producing simple and effective predictive models. Was doing this at my sociology master in John Hopkins. However, sometimes it is really hard without a tech education (which I lack), therefore I would recommend to use database helper. This is an outstanding service for researchers and students too.